Well, the pool in the cave is pretty amazing, but I feel like that experience would freak me out. I've been in the Necropolis beneath St. Peters, but I dunno about caves! Now THAT would freak me out! wow! that is so neat!! I would love to do that one day! I love caves, even though they kinda scare me too. Sounds amazing! Especially that last tour. I definitely would have been really nervous too, especially with the crawling and squeezing part. Um actually I don't know if I could have convinced myself to go on that tour. I was curious about the history of the cave and was reading the wikipedia page just now. Home to predatory spiders? I would have passed out in fear. This is so amazing!! How absolutely gorgeous. How awesome is this?! I would LOVE to do something like this one day, but I have such anxiety about this kind of thing. I have a really overactive imagination and my mind can go to some scary places ha! It's so funny because I was really anxious before we went..couldn't eat and was feeling really sick and panicky in the car..but as soon as I jumped in the water in the cave all of my fear went away. Crazy! These pics are so amazing! We were supposed to go to San Antonio for Spring Break this year and they have some caves there that we wanted to see. Our plans changed due to weather, and now this makes me extra bummed! I just love how adventurous you and Dan are! And a caving club??!! I've never hears of such a thing but how cool! Wow. Just WOW!!!!! Those photos are mind-blowing. I have zero cool stories to tell you about where I've been compared to those caves! Sooooo fascinating. This looks like such an amazing trip- When I went to Mexico 3 years ago we swam in cenote (cave) and it was really cool/scary to climb down into it. I love that kind of stuff so this cave exploring looks right up my alley! This looks so cool! These pictures kind of remind of the dates they go in the Bachelor:) haha. My friend and I went into a few caves when we were in Utah and it was crazy how much cooler it got down in there, and so freaking dark! Wow so cool! Ive never done a cave excursion before because I have bad knees. I would have been really nervous too. When I went to Jamaica we did a hike up a waterfall....i mean literally up the falls where you climb. Slippery, steep, and water gushing. I was really scared but ended up loving it! Wow so gorgeous! The caves just don't even look real! Thank you so much for sharing! We explored quite a lot of caves in New Zealand and they were so incredible to see! I wa s a bit like you and not sure if I'd be scared/feel claustrophobic but they were so beautiful I forgot all about it! I'm getting a strong case of wanderlust!! 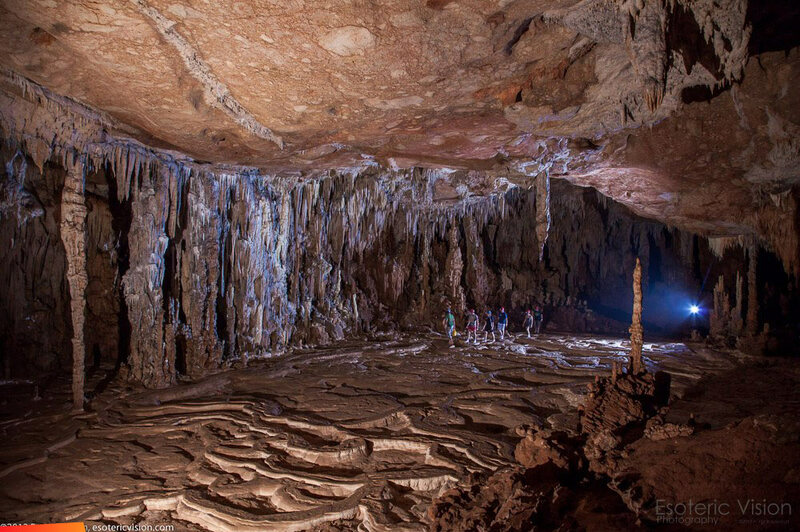 I've never been interested in caving, but your pictures make it look really cool. Are they all really pretty and well-lit like that??? I think I'd like them if they weren't so dark and scary. So cool! I did a cave tour once and ended up soooo muddy! It's strange in there! Those caves are AMAZING. I love the cool, darkness of caves. . . It's very mysterious. They look like Nat Geographic pics!